Forest Plants of the Southeast and Their Wildlife Uses p050? 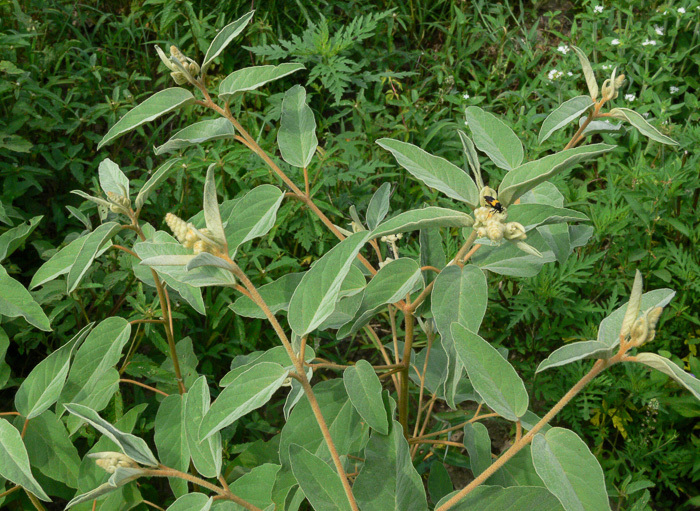 An erect, silvery to tan-colored annual, per Wildflowers of Tennessee, the Ohio Valley, and the Southern Appalachians. 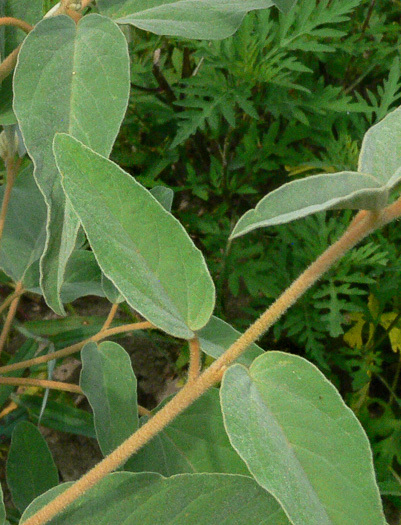 Stem leaves lanceolate to elliptic, base cordate, with gray and tan hairs, per Weakley's Flora.